pastoral care of the Bishop of Beverley. The year 2010 marked the 100th anniversary of the creation of the Parish. The foundation stone of the present building was laid on 17th February 1912 and the church was consecrated on 27th September 1913. The church achieved Grade 2 Listed Building status during 2010 and English Heritage offered a grant of £80,000 towards the end of that year. St Chad's is affiliated to The Society under the patronage of Saint Wilfrid and Saint Hilda and is registered with Forward in Faith UK. We are also an affiliated parish of The Church Union. 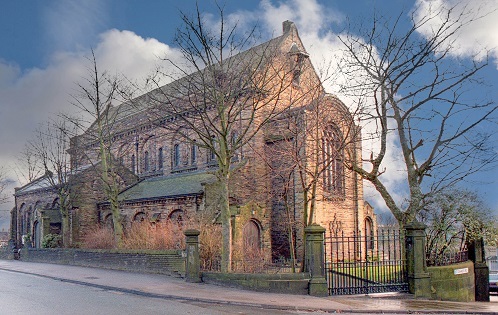 St Chad's is home to the Ward of Saint Faith of the Confraternity of the Blessed Sacrament. Our principal activity is the monthly Holy Hour when we spend time in prayerful contemplation before the Blessed Sacrament. Our concern for the sick in body and mind is expressed in our membership of the Guild of Health & St Raphael. The sick are prayed for at every service and their needs form the special Intention of one Wednesday evening Mass each month. The Fraternity of Our Lady of Walsingham, Saint Chad and All Saints, a Cell of the Society of the Holy House of Our Lady of Walsingham*, was inaugurated at the beginning of 2002 with Fr Crowe as its first Superior. The Cell was suspended when Father Ralph retired - requiring a priest-associate to function. Most members of the cell make an annual pilgrimage to Walsingham at the end of August. * On the Walsingham website, click on Membership and then on Society of OLW. Our Home Mission is the Additional Curates Society. Overseas we support the work of the United Society for the Propagation of the Gospel. Until his death, in May 2002, we supported Bishop Keith Benzies in his care of the people of northern Madagascar. Our contributions now go to supporting Health Care in Southern Malawi. We hold an annual Christingle Service in support of the The Children's Society and are involved in house-to-house collection for Christian Aid. Starting on Trinity Sunday each year, the children of the Sunday School choose a charity to support. This year they have chosen to continue their fundraising for The Guide Dogs for the Blind Association. We regularly support Traidcraft with a stall selling goods from "Third World" countries which have been produced at a fair wage. This page is undergoes regular revision.